Kansas City Auto Detailing In Overland Park Water Damage and Mold Removal | Shamerrific Shine – KANSAS CITY’S PREMIERE AUTO DETAILING SOLUTION! If you live in the Kansas City Metro then you know we just had a BUNCH of rain the other night. Some of your cars might even have flooded because of all the rainfall we got. No worries….if you smell that mold or water that has been sitting in your car maybe for days, come take it to us- we would love to tackle this project for you. We don’t want you to be driving with that horrible smell and maybe even mold in your car. 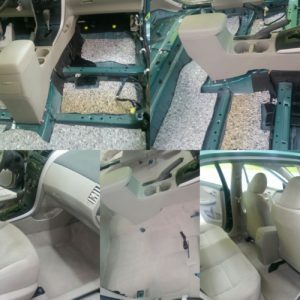 Call us today and let us know all that you are concerned with in your car and we will help tackle this project for you. It will come out looking brand new all over again!! This customer had a tree fall on her car, water damage was inside and there was mold! We had to take out the seats to replace all the padding and carpeting. This car is now beautiful and mold free…YAY!! We want to help you tackle this project because we know how important having a mold free and water free car is! Check out these photos of how well this customers car turned out to be! Looks Shamerrific to us!